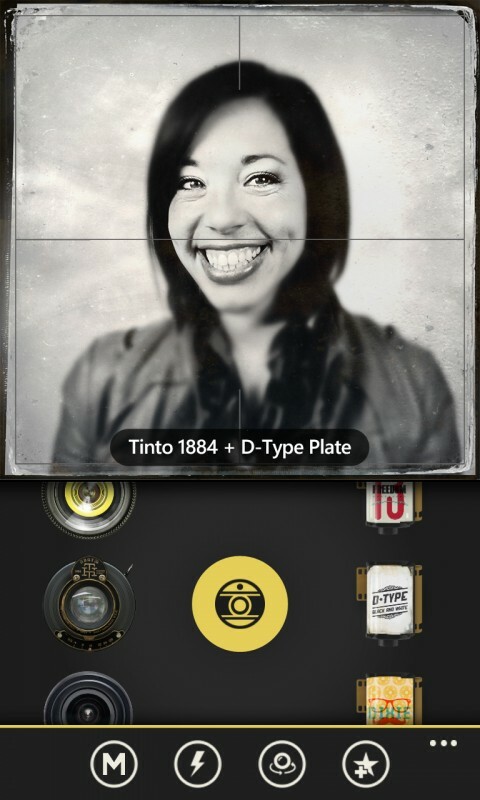 Hipstamatic Oggl, a creative photography and sharing app, is now available for high-end Lumia devices (820, 920, 925, 928, 1020). The app, which was previously only available for iOS, is a high profile arrival on the Windows Phone platform. That's partly because Oggl is seen as an app capturing the current Zeitgeist for photo sharing, but also because it's the first "official" way to share photos from a Windows Phone device to Instagram. Nokia heavily promoted the app at the launch of both the Lumia 925 and Lumia 1020. In essence Oggl is a variation on the now very popular app genre of social sharing of filter-modified photo that has been popularised by Instagram. In Oggl the filters are in the form of "lenses" and "films", collectively referred to as "gear", each of which is inspired by an analog equivalent. Like other apps of this type Hipstamatic is trying to build a community around Oggl, with the same followers, activities and feed concepts that you'll find in other social apps. Hipstamatic is trying to position Oggl as mobile social photo sharing service for the more discerning photographer Describing Oggl as Instagram for hipsters may be a little cruel, but it is not that far from the truth. Photos being shared with Oggl must be captured within the app, which is presented as part of the "special" nature of Oggle, but seems like a missed opportunity to be able to share photos captured using the default Camera app. 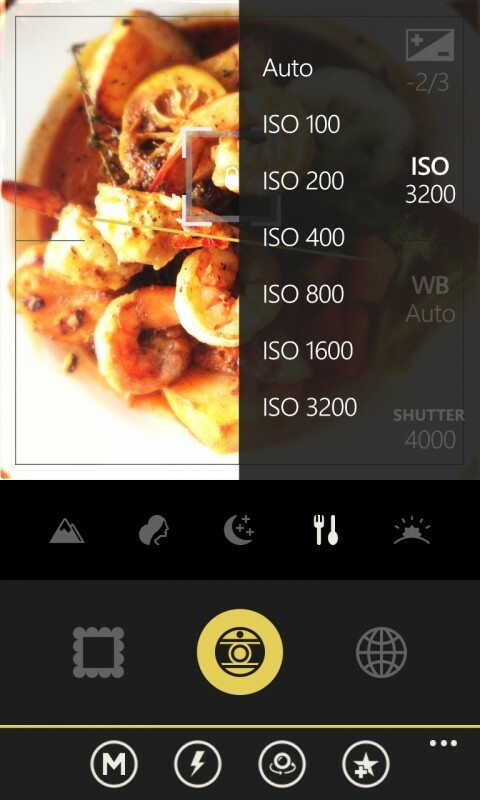 Within Oggle the capture stage lets you choose between a variety of modes (landscape, portrait, night scene, food, sunset), replicating the scenes functionality of a standard camera. Once a photo has been captured it's automatically added to a library. From the library images can be customised by applying different gear. By default only a handful of lens and films options are available, but additional gear can be downloaded from the built-in store, after which it becomes available in the photo editing section. Some gear is only available as part of a premium subscription, but there's more than enough to give you an idea of how things work. Once you have finished putting a creative spin on your image (or ruining it with filters depending on your point of view), it can be shared to the Oggl service. Optionally it can also be shared to Twitter, Facebook, and Instagram. The latter option is the "official" Instagram sharing we referred to above. 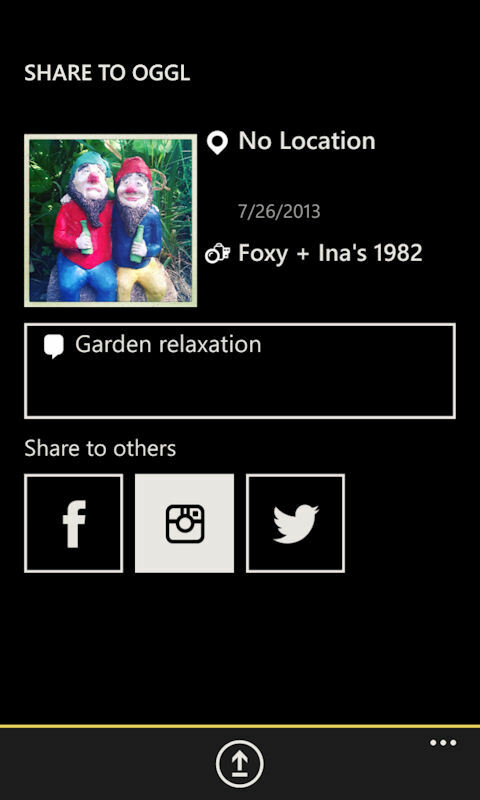 While there are a number of third party Instagram apps for Windows Phone (e.g. 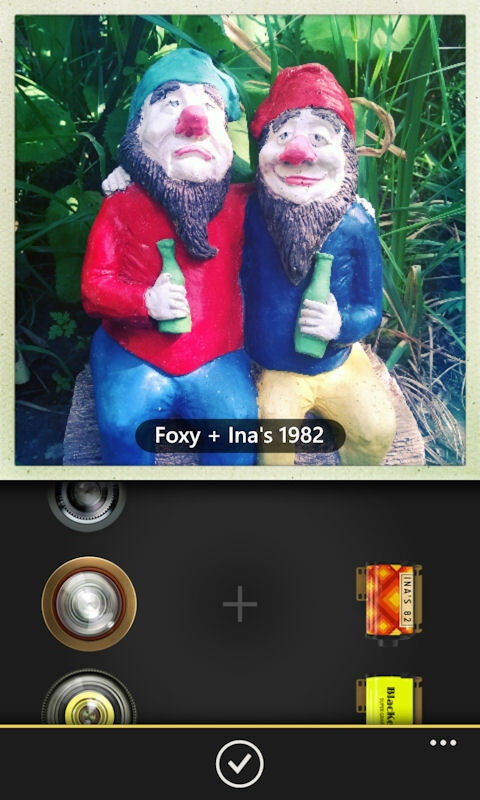 Instance), Hipstamatic's Oggl is the only which has an official agreement with Instagram to post photos. This distinction may be a bit of a moot point given that the third party Instagram apps continue to operate unhindered after several months of availability. Nonetheless, it does allow Nokia and Microsoft to say, quite truthfully, that there's an "official" way of getting photo from a Windows Phone device onto Instagram. 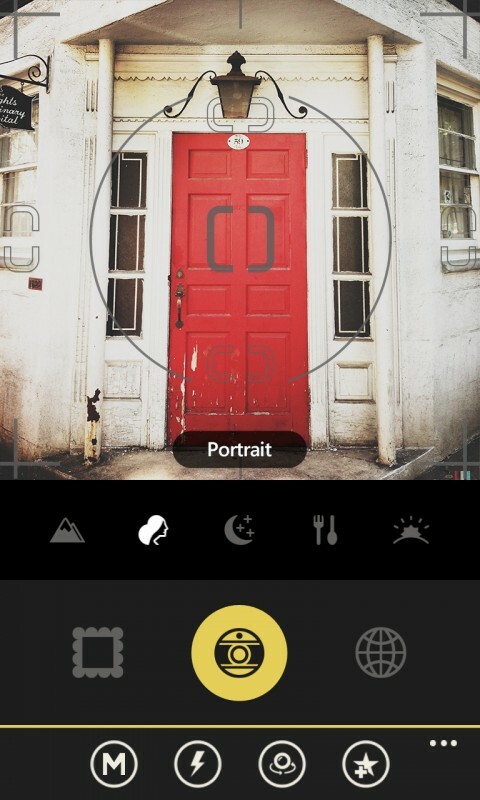 In addition to the standard version of Oggl a special PRO version is available for the Nokia Lumia 1020. Oggl PRO offers the same core functionality, but has a slightlymore advanced camera capture capability including manual control of exposure, white balance, ISO, and shutter speed, as well as zoom controls and anautoo-level indicator. This extra functionality is built on top of Nokia's recently released Imaging SDK. As part of a release promotion for the Windows Phone Nokia has teamed up with Oggl to offer 60 days of unlimited gear usage. Following this period two subscriptions options are available: quarterly ($2.99) and yearly ($9.99), both of which give access to all gear and come with a guarantee that new gear will be made available each month. However, should you wish to do so, you can continue to use the app for free, albeit with a restricted range of gear. A Community For Creative People To Capture & Curate Their Lives Through Photography. Oggl is a “capture-first” shooting experience using Hipstamatic’s beautiful lenses and films, and comes with 5 “Favorites” pre-loaded for situational shooting: Landscape, Food, Portrait, Nightlife and Sunset. For the first time ever, edit a photo after it’s taken to experiment with different looks, and tap to preview effects before shooting. Share your best photos to your Oggl profile to curate your personal story. With “My Collection,” see your photos showcased next to photos you’ve curated from around the community. Oggl and Oggl PRO are available from the Windows Phone Store. The PRO version is only available for the Nokia Lumia 1020. The standard version is available for Nokia Lumia devices with 1GB RAM (Lumia 820, 920, 925, 928). It is currently not available for devices with 512MB RAM (Lumia 520, 620, 720).